Re : --23 & 23a M.G. Magic racing cars. Hi all from New Zealand. This is a 23 Racing Car, not a 23a. 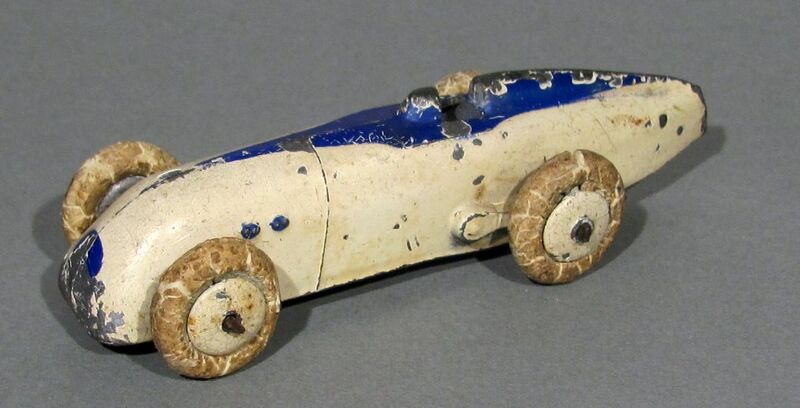 It was announced in Meccano Magazine in April 1934, first made from lead (as yours, I think), then Zamac, abandoned end of 1934, when a new casting appeared for 23a Racing Car. A rare and nice example you have got here, Ron, still with its original white tyres.